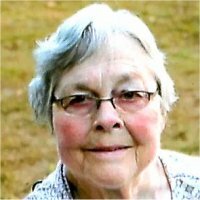 Phyllis Ann Mueller, nee Lovell, 84, of Augusta, Missouri, formerly of Florissant, MO, born Sunday, August 5, 1934, in East St. Louis, IL, passed away Tuesday, January 29, 2019 at her residence. Phyllis worked as a Physical Therapist for Normandy Orthopedic Hospital. She will be forever remembered by her sons, grandchildren, and many great-grandchildren, as well as her nieces, nephews, and extended family and friends. Memorials: Memorials may be made to the Missouri Arthritis Foundation, 9433 Olive Street, Suite 100, St. Louis, MO 63132. Visitation: Visitation from 11:00 am – 1:00 pm, Monday, February 4, 2019 at Kurrus Funeral Home in Belleville, IL. Funeral: Funeral Services will be held at 1:00 pm, Monday, February 4, 2019 at Kurrus Funeral Home, with Rev. Cari Frus officiating. Interment will follow at Valhalla Gardens of Memory, Belleville, IL. Prayers for your sweet mother Eric, may she forever rest in peace!